Once a symbol of outright American military superiority, drones are on their way to becoming an ordinary weapon of war. The awesome power to attack from above, unseen and out of harm's way, was once the stuff of science fiction. It became reality in the early 2000s, when an American fleet of ominously named Raptors, Predators, and Reapers brought U.S. military superiority into the 21st century. 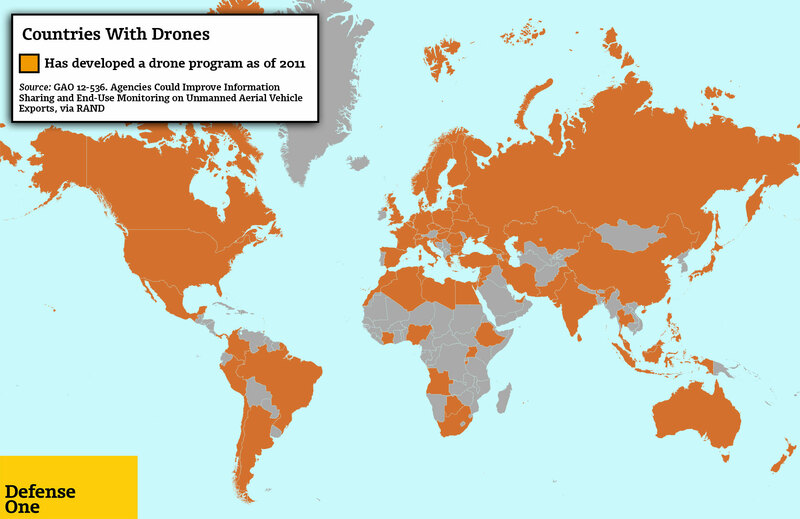 But the U.S. isn't the only kid on the block with militarized drones anymore. American drones remain leagues ahead of the competition when it comes to stealth technology and weaponry, but the rest of the world is catching up. As conversations about the morality and legality of drone warfare rage on in the U.S., UAVs are edging toward the mainstream. Drones — or the more-sterile "unmanned aerial vehicles," as the government prefers that you call them — have been around, albeit without weapons, for quite some time. The U.S. used remote-controlled aircraft in bombing missions during World War II and unmanned planes to take photos over Vietnam. In the 1990s, drones began to stream video feeds back to their controllers. But after an unarmed surveillance drone caught glimpse of Osama bin Laden in Afghanistan in 2000, the inevitable happened, and the first weaponized drone, a Predator, took flight over Kandahar two years later. In the 12 years since, only two countries other than the U.S. — Israel and the United Kingdom — have launched drone-mounted missiles, but the technology is quickly proliferating. "Within the next 10 years, every country will have these," Noel Sharkey, a robotics and artificial-intelligence professor at the University of Sheffield, told Defense One last year. 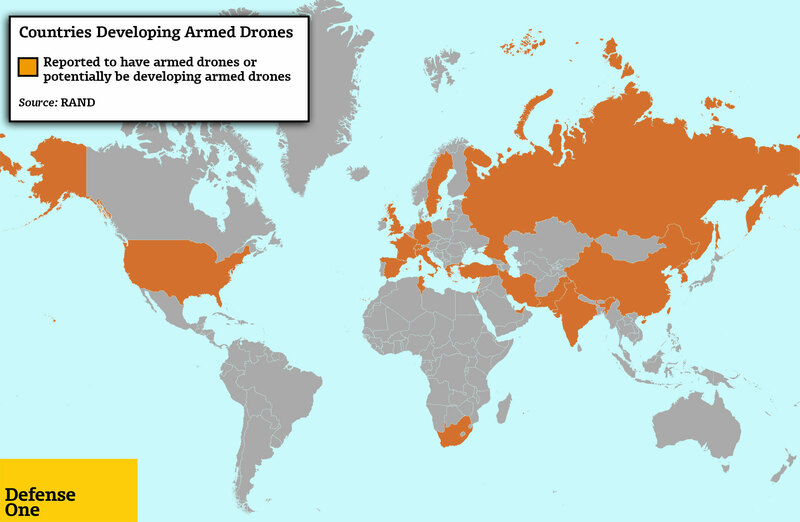 As of 2011, more than 20 countries in Europe, Asia, and Africa were developing armed drones. Many more have drone surveillance programs. American drones are already sharing the skies with non-allied UAVs in the Middle East, where they fly the most. Iranian Ababil drones — just one model of an extensive line of Iranian UAVs of various capacities — are patrolling the skies over Iraq alongside American ones. On Monday, Israeli forces shot down a drone that was launched from Gaza. Hamas claimed responsibility for the drone, hinting at the possibility of sending more. This wasn't the first time Israel downed a UAV near its airspace: In April 2013, a drone launched from southern Lebanon, possibly by Hezbollah, was intercepted by Israeli F16s. Domestic opponents of drone warfare are agitating for limitations on drone strikes and targeted killings. But as the technology proliferates and UAVs become a standard part of every country's arsenal, it looks as if drones are here to stay.